A Message from Helena on Gratitude! This year has been one of incredible transformation for myself and the whole studio. When I have the opportunity to sit back and reflect on the growth and development that has occurred all around me I am incredibly grateful to be witness to it all. On a day to day basis, it is very easy to overlook the wonders of your own life. We tend to dwell on the negative things going on around us, we let the small things bring us down and consume us with worry, fear, anger, regret and doubt. When I look back at this year, the studio hosted their first 200 Hour Yoga Teacher Training program and we are about to host our second. I recently became a Lulu Lemon Ambassador and community partner. My niece turned two and her loving nickname for me is "B". Yoga in the Park this summer introduced me to so many new and wonderful souls. I have the incredible support from a dedicated team and the unconditional love from family and friends. The sun is shining today and you know what, all is well! This short reflection allows me to see that I am on track, producing good in the world where I can and am able. This weekend, I encourage you all to do a similar reflection. What do you have to be grateful for, what are you proud of, what can you continue to do to enrich your own life and the lives of others? This exercise is an opportunity to check in with yourself, acknowledge the good, recognize the great or even explore an area of your life that needs more mindful attention. 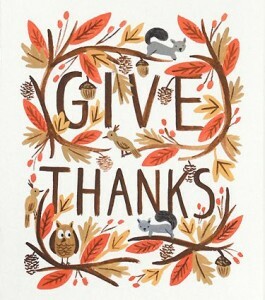 Give thanks for all that is whole and happy in your life and take time to enrich the areas that could use more love. Also, a million times thanks to each and everyone on of you who continue to support my dream and believe in the community at In Fine Feather Yoga.